Verdant vistas and mountain ranges, along lakes and rivers, and through jungle and tiered paddy fields rising and falling as far as the eye can see. Along the way, you will be hosted by different hill tribes wearing amazingly elaborate and colorful costumes. These are people who have been living in the hills for a centuries, and their ways of life have little changed from generation to generation. 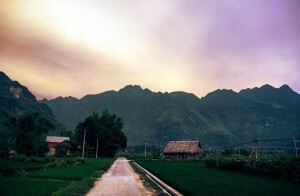 07:00 Depart from Hanoi through the Red River Delta into the mountains of Yen Bai province and on to Nghia Lo. 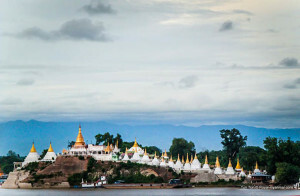 The area is home to Thai, Nung, H’mong, La Ha and Ma ethnic minority people. Lunch on the way. Overnight in a hotel in Nghia Lo. Breakfast in your hotel. 08:00: Exploring the local market in Nghia Lo is a good chance to shop for local handicrafts. Today’s drive is along an exciting stretch of road which climbs over the mountain pass to Mu Cang Chai past H’mong, La Ha and Dzao hill tribe communities. At the bottom of the valley is the town of Than Uyen. Lunch on the way. Dinner on your own. 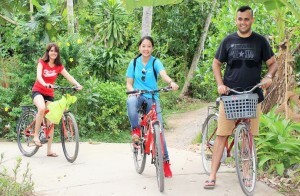 Overnight in a guest house or homestay at Than Uyen. Breakfast in local restaurant. 08:00 The road follows the Hoang Lien Son Mountain Range and winds through tea plantations and rice terraces as it hugs the Nam Ma River. 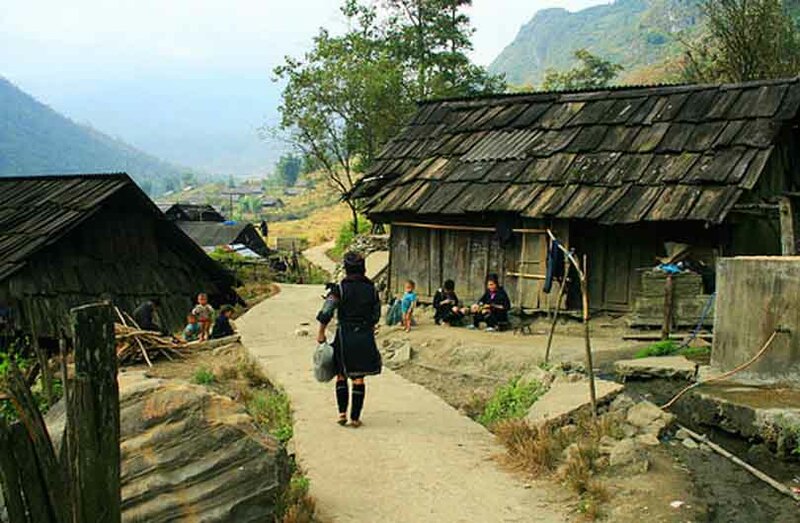 This stunning valley is dotted with Tay, Dzao and H’mong hill tribe villages. Over the 1,900 meter Tram Ton Pass to Sa Pa located in the breathtaking Hoang Lien Son Mountains. Lunch on the way. Arrive in Sapa in the afternoon. Free time. Dinner on your own. Overnight at hotel in Sapa. At 08:00 you start the tour from Sapa. Take a short road transfer along the motor way southwards for 4 km with a stop along the way for stunning scenery of Fansipan mountain and Muong Hoa valley. Trek uphill along a large and rocky path for 2 hours to Hang Da village of the Black H’mong which hides itself under lush trees on high elevation of the Den Thang Mountain. Explore the village, visit local families. Lunch break in the village. After lunch, continue trekking along the same trail which goes on the high mountain side for about an hour which offers a great view of Muong Hoa valley until arriving at Thao Hong Den, another village of the Black H’mong to pay a visit to several local families. 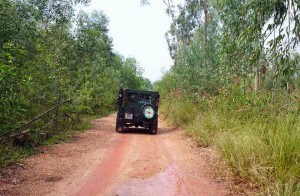 To continue, you will go downhill for another hour along a dirt track to Pho village at the center of Hau Thao commune. You will be picked up and transfered by road back to Sapa. The trip ends at about 3.30pm to 4.00pm. Dinner on your own. Overnight at hotel in Sapa. It’s time to be at leisure and to wander around Sapa with hundreds of Black H’mong and Red Dzao gathering. Socialize with the tribesmen and enjoy bargaining for unique souvenirs and shopping for delicate embroideries and batik at a Sapa fair. It’s possible to climb up to Ham Rong mountain with a panoramic view of Sapa which is recommended (the entrance fee will be paid by yourself). 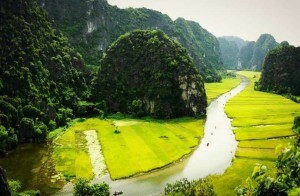 Transfer to Hanoi by car (6 hours). Lunch in a local restaurant on the way. Arrive in Hanoi at about 6PM. End of our service.